Every technologically inclined person knows at least the basics of Apple's knowledge navigator and so-called 'intelligent' personal assistant. Her name is Siri and she uses a language-based interface to perform various actions for the user. For example, making recommendations, answering questions, and acting as an interface between the user and a range of Web services like Wolfram Alpha. 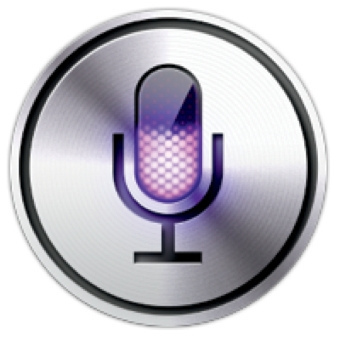 If that doesn't sound clever enough, believe it or not, Siri evolves - in a way. Perhaps adapt is a better term. Because what she does is adjust results and language usage based on individual preferences picked up through ongoing use. Siri is a lot more capable than what most people think. From checking the calories in your Coke to reminding you to pack your lunch, your new digital friend can be very helpful indeed, and just like most software, she has some very interesting features. Ask Siri, 'How many calories are in (food item)?' and she will tell you. If you use your iPhone to play music in your car, you can tell Siri to play a specific album or song without taking your eyes off the road. Siri speaks Morse code and you can learn words by asking her, 'What is Morse code for (word)? 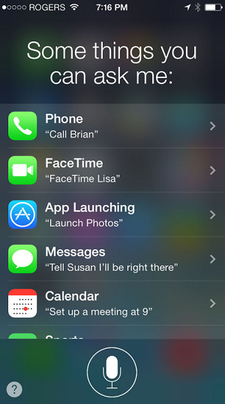 When you have an app open, hold the Home button down to bring Siri up. Say, 'Settings' and she will bring you to the apps settings. Say to Siri, 'Wolfram password' and she will give you a secure password instantly. By asking, 'Wolfram, what are the odds of a (poker hand)?' you can learn about the rarity of hands. Instead of a string around your finger, ask Siri to remind you of specific things like, 'Remind me on Thursday at 8:30 am to order sushi'. Listen and respond to your latest text message by telling Siri, 'Read my last message'. When you no longer need Siri, simply dismiss her by saying 'Bye'.